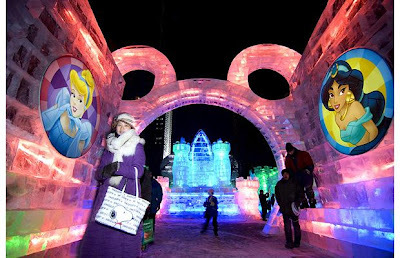 Visitors gather outside the gate of Zhaolin park at the ice lantern festival in Harbin, China ..
Every year the Harbin ice lantern festival opens on 22 December .. 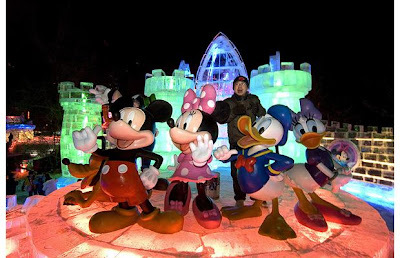 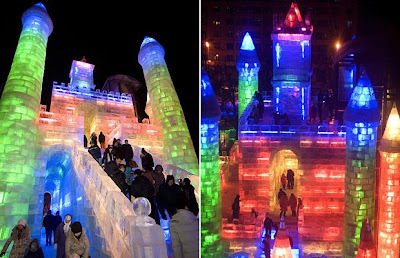 The event, recognised as home to ice and snow art in China, lasts until February .. 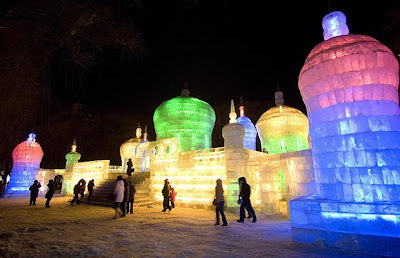 This year is the 35th ice lantern festival. 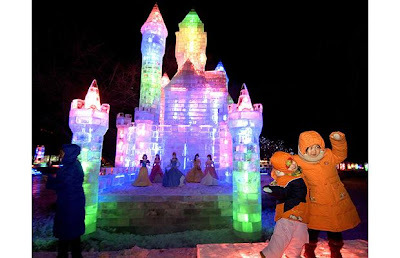 The festival is internationally renowned for its exquisite sculptures.. 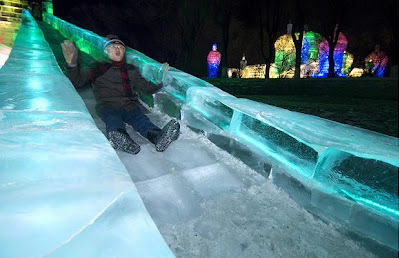 This year's ice lantern festival has over 2,000 illuminated ice scultpures on display.. 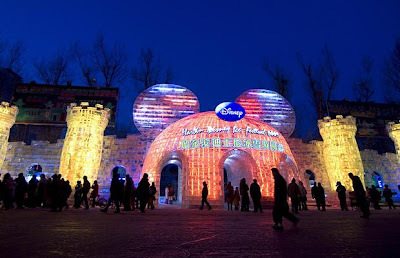 It began in 1985 and considers itself to be China's greatest ice artwork festival, attracting hundreds of thousands of visitors.. 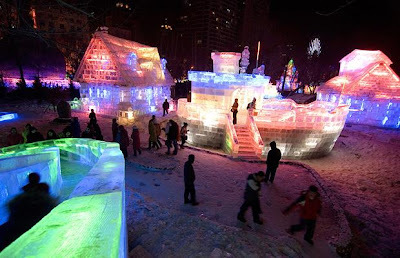 The city's location in northeast China accounts for its arctic climate which provides abundant ice and snow..